LASP is participating in the National Space Symposium, this week, as part of our effort to reach out to space industry audiences attending this important annual conference. 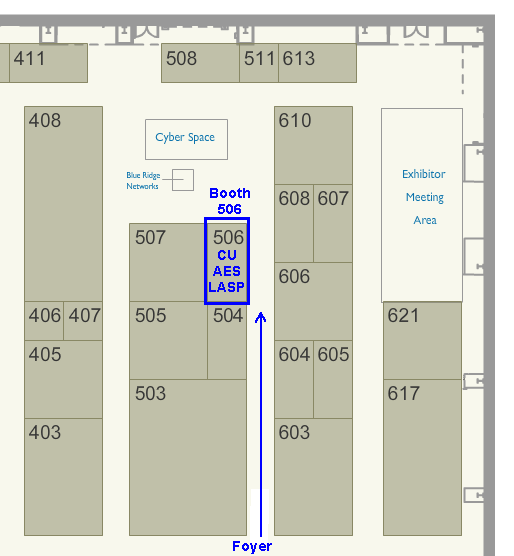 Visitors can find us at Exhibit Booth #506, which we are sharing with the University of Colorado Boulder Department of Aerospace Engineering Sciences (AES). 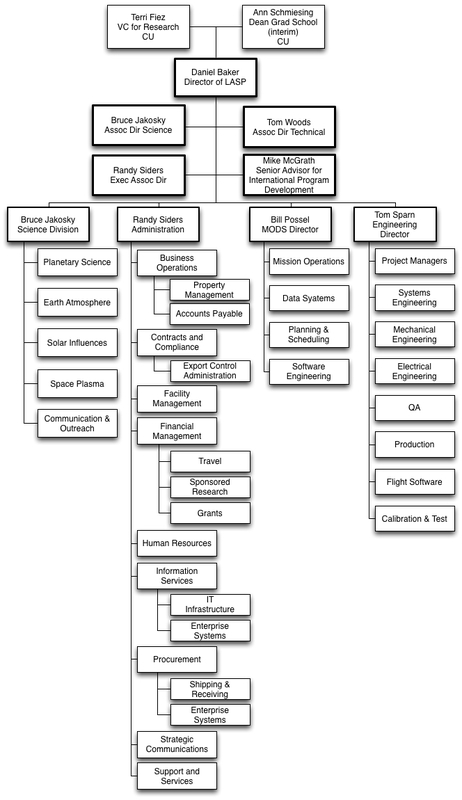 The National Space Symposium is being held April 9-12, 2013, in the Broadmoor Conference Center in Colorado Springs, Colorado. For directions and details, visit the conference site at http://www.nationalspacesymposium.org/. 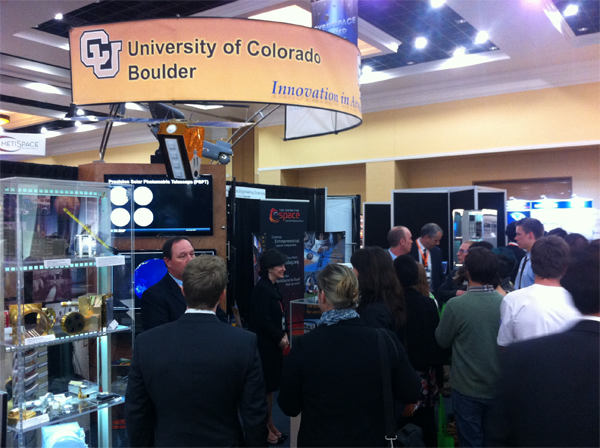 The slides below are on display in Exhibit Booth #506 at the National Space Symposium.